If you happen to be quite well off or have some spare savings, it might be a good idea to consider staying at China. The economy in the country keeps growing positively that it has become a good place to live in. This has been proven even further with the recent huge investment by Volkswagen (VW) and the fact that the South Korean automaker KIA has now launched a new brand targeted specifically at the Chinese market. The brand is known as Horki and comes under parent company KIA. What we know is that, in Mandarin, 'Hor' or 'He' means together whereas 'Ki' or 'Qi' means air or atmosphere. And the word as a whole, means 'harmony'. Well, that makes sense to us as we think the first Horki concept vehicle looks dynamic indeed. For now, there's only one model that KIA is building for the brand Horki. Of course, we believe that there'll be more models later on. The model has yet to receive its official name but it is based on the platform also used by the KIA Forte. However, this doesn't necessarily mean that the first Horki model borrows design cues from the KIA Forte. As a matter of fact, from what we can see as far as design is concerned, this Horki concept vehicle doesn't have any similar design from any of KIA models. Slated for a 2015 release date in the Chinese automotive market, the first Horki model looks aggressive as well as sleek.  This can be seen on the designs of the headlamps, front grille, air intakes, and rear taillights � which we believe are LED combination taillights. The rear diffuser also emphasises the car's aggressive and tough look. The overall body curves also give a dynamic impression of the car. The Chinese can be grateful as KIA is planning to offer this sporty and luxurious looking car with an affordable price tag. 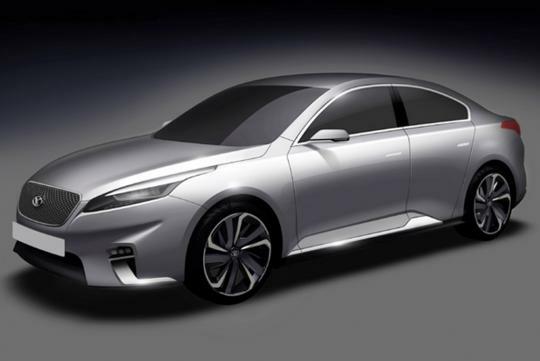 Besides this first premium four-door sedan model, the brand Horki will also get a few plug-in hybrid models, besides non-hybrid ones, within the next few years. 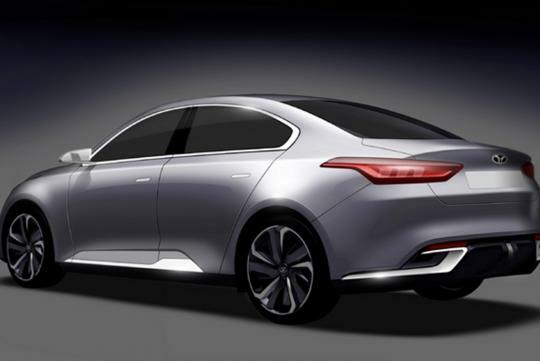 According to KIA, it will be able to better fulfill the requirements of the Chinese customers with the brand Horki. All the models badged with the brand Horki will be built in collaboration with a Chinese company, Dongfeng Motors. Taking into account the affordable prices planned by KIA for the sleek looking Horki models, they might actually be quite interesting for some developing countries too, such as Indonesia. Unfortunately, as of now, KIA has no intention to sell the Horki models outside China.